Against the backdrop of Boston Harbor, one generation of prominent environmental leaders with Massachusetts roots had a conversation with the emerging generation of ocean stewards about their Earth Day inspirations today. Teens hauled up a lobster trap out of the harbor to illustrate the effect of warming waters on the declining range of lobsters in New England and the effects of ocean acidification on all marine animals with shells. Long glass tubes filled with sea jellies were displayed to show how they are the only group of marine animals that thrive as ocean waters become warmer, more polluted and more oxygen deprived. Lastly, another teen group spoke about the effects of sea level rise in Boston Harbor. 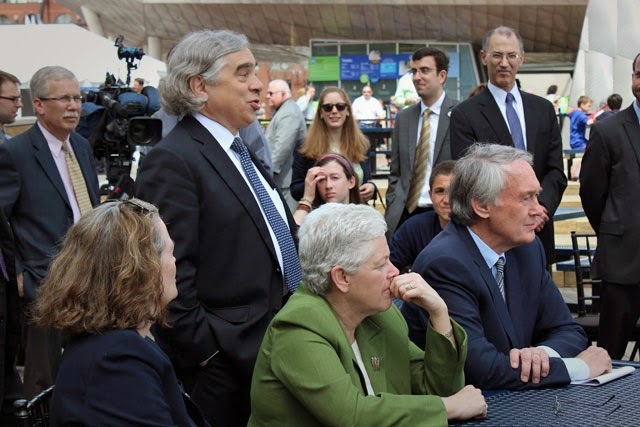 EPA Chief Gina McCarthy (seated in green) and Sen. Ed Markey (seated to her left). 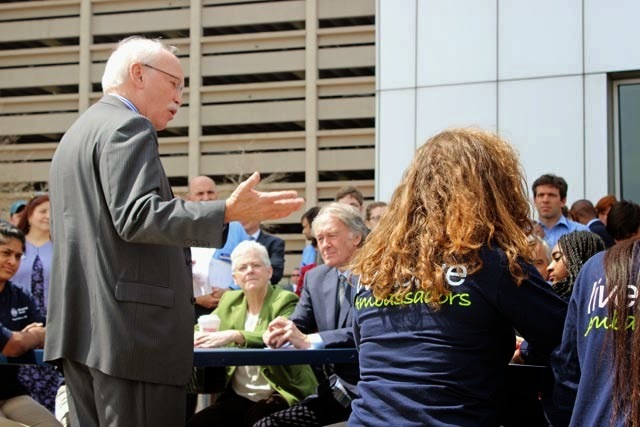 The officials also shared what originally motivated them to pursue environmental and leadership careers and discussed their own hopes and concerns for the future. 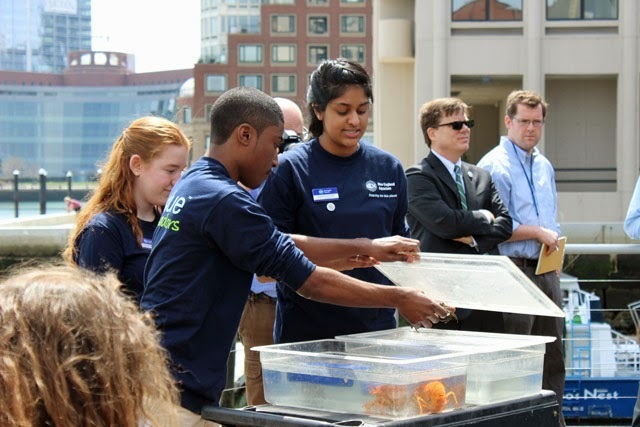 This was a special opportunity for teens from the Aquarium’s three youth programs to engage with environmental leaders, and for the leaders to share their background and hopes for the future. Many of the teens are involved with an Aquarium group called ClimaTeens, which is a new highly selective and diverse group of teens that have been training since last fall to better engage other youth in discussion and action around climate change. some of his vast knowledge about climate change. 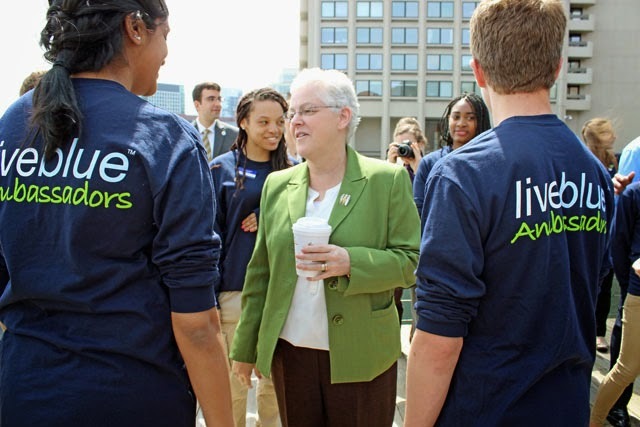 To cap off this special event, the Environmental Protection Agency's leader Gina McCarthy presented Aquarium President and CEO the EPA's Environmental Merit Award because of his long history of tackling important environmental issues, including climate change, sustainable seafood, endangered species protection and marine protection areas. 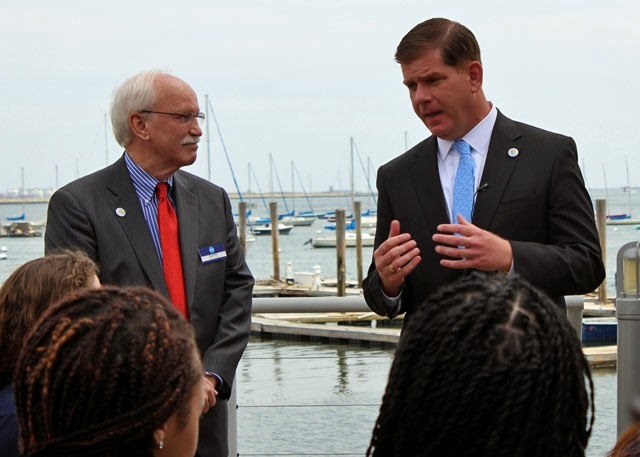 For example, as head of the New England Aquarium, he has spearheaded nationwide collaboration of aquariums and zoos to educate millions of visitors about climate change, its impact on the oceans and what we can do about it. 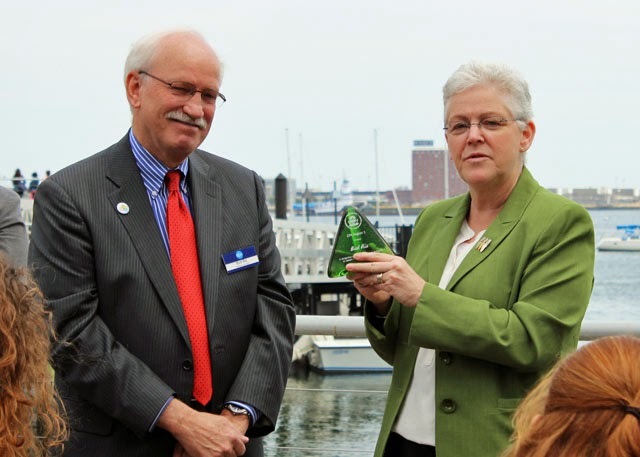 EPA Chief Gina McCarthy presents Aquarium President Bud Ris the EPA's Environmental Merit Award!